EROCK Associates LLC: We Boldly Drone Where No One has Gone Before - We boldly drone where no one has gone before. 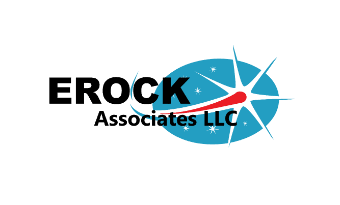 EROCK Aerospace (a division of EROCK Associates, LLC) is an Unmanned Aerial Vehicle, aka 'Drone,' data capture and video production company using the latest in UAV technology. We have been working with the California Department of Water Resources on major infrastructure projects. We've also been family- owned and operated from the start. "I have worked directly with Eric Bennett at several very challenging close-in blasting projects in the Pacific Northwest. At the Tri-Met Light Rail project in Oregon, Eric provided very good technical support for surface and underground blasting operations occurring very close to many urban structures. Eric has very good training and experience and I would recommend him for work involving the execution or oversight of blasting work." We set a new record yesterday for our mapping team. Three drone operators covered the site yesterday on mapping missions and collected over 4000 images. This preliminary image was auto processed overnight as one mosaic in 7.5 hours on one computer. This is an exceptional accomplishment and is the result of extraordinary effort by a very high end team of surveyors, drone operators, photogrammetrists and IT professionals. Congratulations and thank you to the team.